Every Sunday, Mary disappears between the hours of 1:00 and 6:00 PM. She leaves somber, always dressed in the same white cotton dress and black sandals, her hair loosely flowing down her shoulders. Small silver pirate ships dangle from her ankle bracelet. She won’t tell Atlas where she goes, no matter how many times he asks, and Jordan and Max just shrug whenever he asks them for information. Apparently, she’s been doing it since before she met them. “Maybe she’s got a hot date.” Max raises his eyes suggestively. “More likely, she’s got a secret mission,” Jordan speculates. “She’s a lone wolf type, and it wouldn’t surprise me if she’s got her own project on the side. “But why the same dress?” Atlas wonders out loud. “It’s so specific. Mary never does anything without a reason, whether she’s willing to share that reason or not. One Sunday when Mary seems especially distracted, Atlas decides to give her a taste of her own medicine and follows her for the day. He asks Jordan for one of the ear mics, then drops it into Mary’s bag and takes the handheld tracker in his own. After she slips out the door, he traces her steps for miles until the tracker flashes red at a trash can, where it seems Mary placed the ear piece to prevent him from following her. She is determined not to reveal her secret, but so is Atlas, and every Sunday after that, it becomes their little game. Atlas is the cat and Mary is the mouse, though a very clever, secretive mouse at that, and he never manages to get more than half an hour into the chase before she foils it and goes on her way. And so the newest, most technologically advanced tracker is born: the Mini-Mic Tracker 2014. Jordan creates it just for Atlas, and sets the reveal date for a Saturday afternoon when Mary leaves the apartment to run errands. All week they have been exchanging secret folders with plans and hiding their notes beneath the other person’s pillow, while Mary has seemed oblivious to their plotting. When Saturday finally arrives, Max decorates the stand with a red velvet curtain, which he whooshes off like a game show contestant as soon as Mary leaves. Jordan points to the middle of the glass stand. Atlas leans in to get a better look, and he can just make out a black dot smaller than a pencil point. “Wow.” He moves to pick it up. 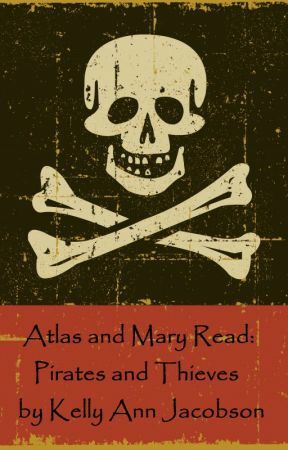 While Mary sleeps on Saturday night, Atlas sneaks into her room to attach the tracker to the bottom of her purse. She looks so peaceful when she sleeps, so childlike, that Atlas can finally see the resemblance between the Mary he knew as a kid and the relentless captain of their undercover missions. She must work hard to suppress it, to put on the strong front of a leader, but deep down, she has her own misgivings. The next day, Mary hefts her purse onto her shoulder and heads out the door in her white dress and black sandals. Atlas follows a few blocks behind, then gets on the metro at Farragut North and takes the red line with Mary to Silver Springs, Maryland. Through the glass between their cars, he sees something he would never have predicted: Mary reading a book. She looks almost normal as she sits with her back to his prying gaze and lazily flips through the pages, just an average girl taking an average ride on a beautiful Sunday afternoon.